of navigational aids and ship models. The Maritime Museum is inside of the old Fog Signal Building at the Eagle Harbor Lighthouse Complex. The photo on the left above shows the building when it was operated by the U.S. Coast Guard, complete with fog signal whistles coming out of the roof. The photo on the right shows the current building. The story of copper mining in the Keweenaw has always been intertwined with that of Great Lakes shipping. From the early 1840’s through almost 1900 the only way to get copper out of the mines in Keweenaw County was by ship. In the early days the only way to get into the towns of the Keweenaw was by ship. Early travelers had to anchor off shore and take small boats to reach the shore. Soon large docks were built in towns such as Copper Harbor, Eagle Harbor and Eagle River to provide more economical ways of shipping. Light stations were built to guide vessels around the Keweenaw and the reefs that surround her to provide safe passage to the towns of Duluth, Twin Harbors, etc. While many of these stations have closed one can still see vessels off the coast of the Keweenaw carrying cargo up and down bound on Lake Superior. 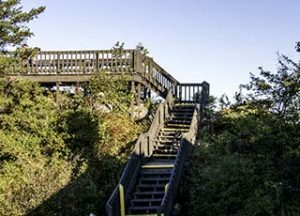 The Observation Deck near the Maritime Museum offers magnificent views of Lake Superior. The Keweenaw County Historical Society Maritime Museum contains displays that look at the role of shipping on Lake Superior. The museum has several scale models of ships. It has a gallery of photographs and stories of many of the ships that sailed Lake Superior. It also contains navigation displays, stories of ship wrecks, maritime equipment including a working marine radio. On December 4, 1989 the Cost Guard Mesquite became the latest ship to sink in the waters off of the Keweenaw. She struck ground while making the late fall run to take the navigational buoys from the lake near Bête Gris on the south shore of the Keweenaw. After many efforts were made to free the ship she was sunk to become another wreck for divers to visit in the Keweenaw Underwater Preserve. 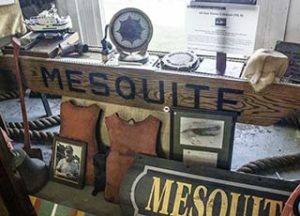 The maritime museum has several displays telling the story of the Mesquite and other Keweenaw shipwrecks. 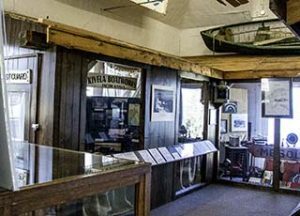 Hours & Admission – The Maritime Museum is part of the Eagle Harbor Lighthouse Complex and is open from mid-June to early October. Admission $5.00. Children free. Check the Site and Museum Schedule page for specific hours of operation. Related Links -You may wish to explore the following sites for additional information about shipping on Lake Superior as well as the wreck of the U.S.C.G. Cutter Mesquite.